When making this dish, it came about as a means to cook up everything at once to save time and eliminate the use of additional pots and pans. This is easily a one pot dish that's great for potlucks! For a vegetarian option, omit the kielbasa and use water instead of chicken stock. We enjoyed this with corned beef but it's equally good with a pork roast. In a large skillet over medium heat, add butter and olive oil. Add onions and garlic, sautéeing until softened. Add the baby carrots and continue to cook for 10 minutes or until carrots have cooked to an al dente. Once carrots are cooked to an al dente, add the kielbasa and cook until the edges have become slightly crispy. 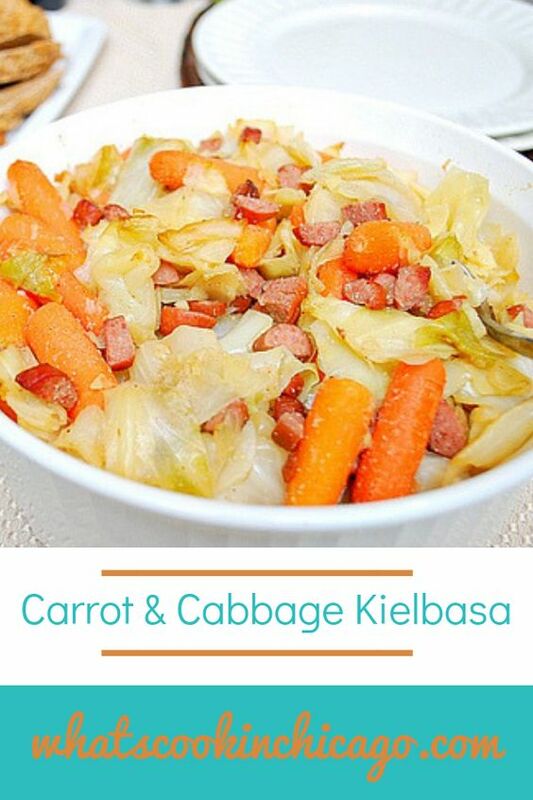 Add the cabbage and stir to coat with kielbasa and carrots. Season with sugar, garlic powder, salt and pepper. 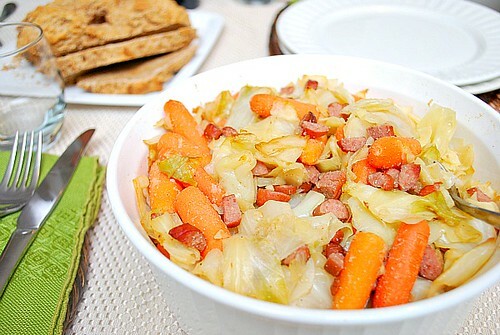 Add water or stock and cover, cooking for 7-10 minutes or until cabbage has cooked through. Uncover and stir before serving. A good side or main course!